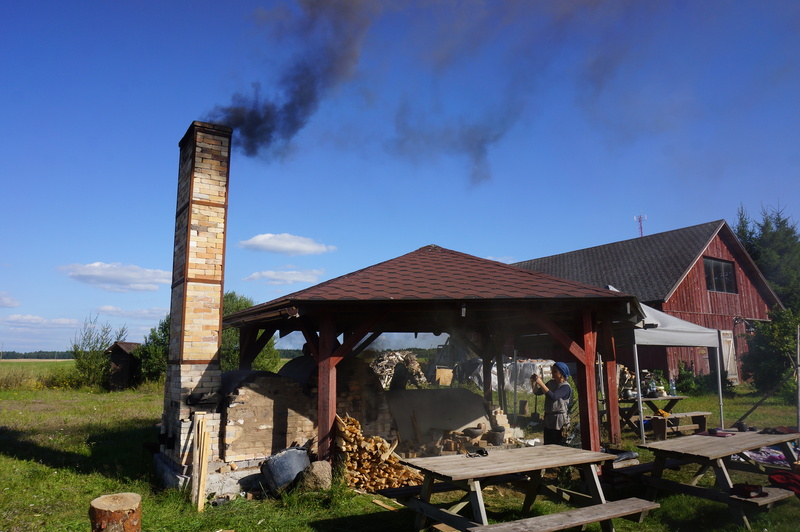 Last weekend I spent at studio Cepļi firing the japanese type Anagama kiln. 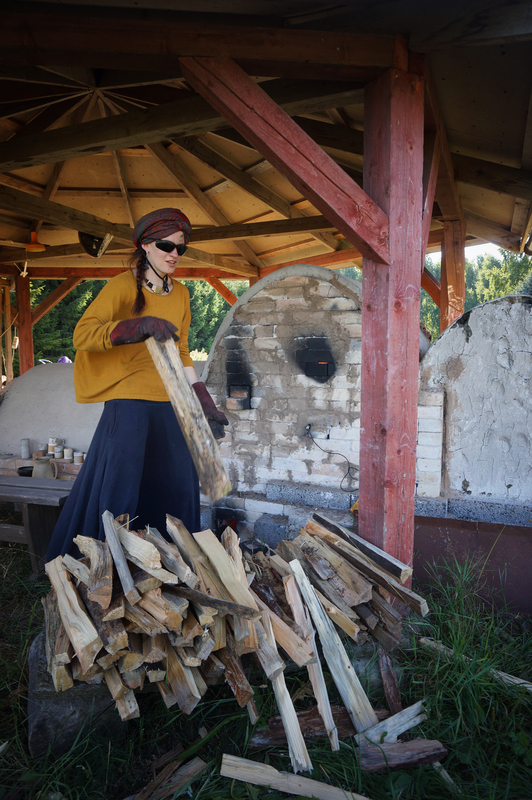 It took us a whole day of packing and 48 hours of firing to get this darling up to 1300 C . Here are some glimpses of the process. The results will be revealed next weekend when we will crack it open! 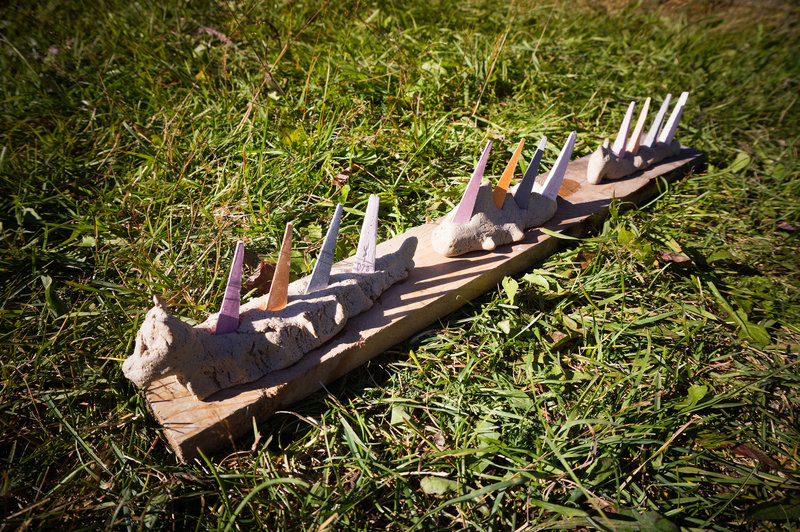 The Anagma at studio Cepļi, owned by Ingrīda Žagata, built by Andres Allik. 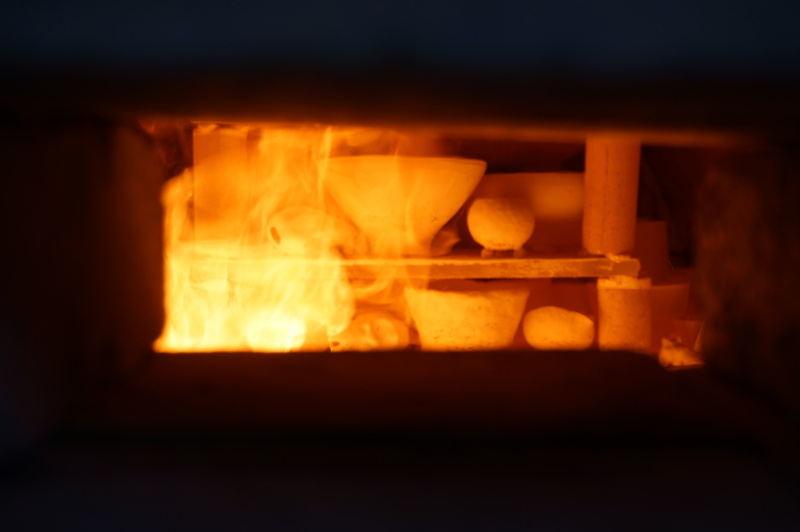 Preparing the pyrometric cones that will help us measure the temperature in different parts of the kiln ( they are designed to bend at precise temperatures). 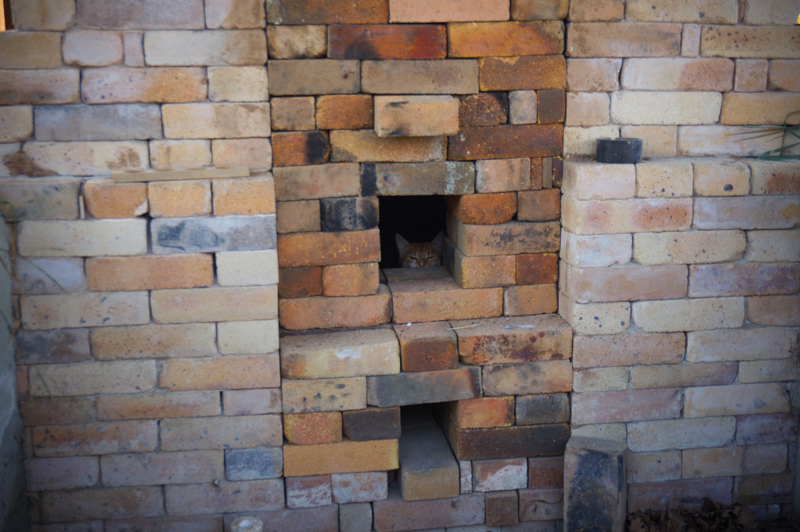 Crazy cat Tom sneaked in the kiln just before we were about to start the firing! Already 750 C in the front chamber. 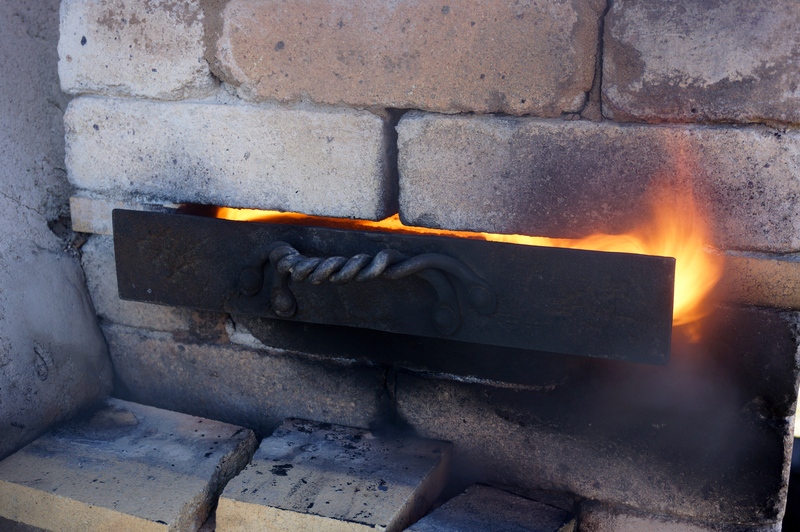 The anagama is fueled just by 4 little bits of wood every couple of minutes. Little by little in the period of 48 hours it will reach 1300 C ! 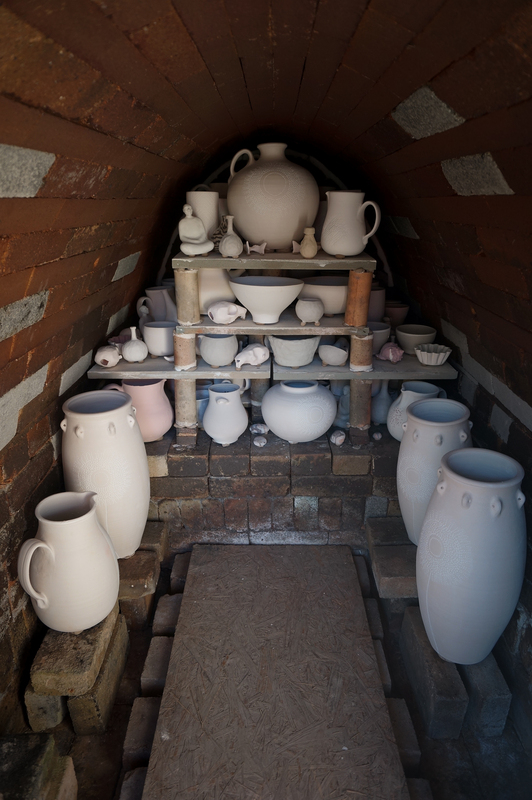 To create the reduction we close of the chimney thus restricting the amount of air in the kiln. 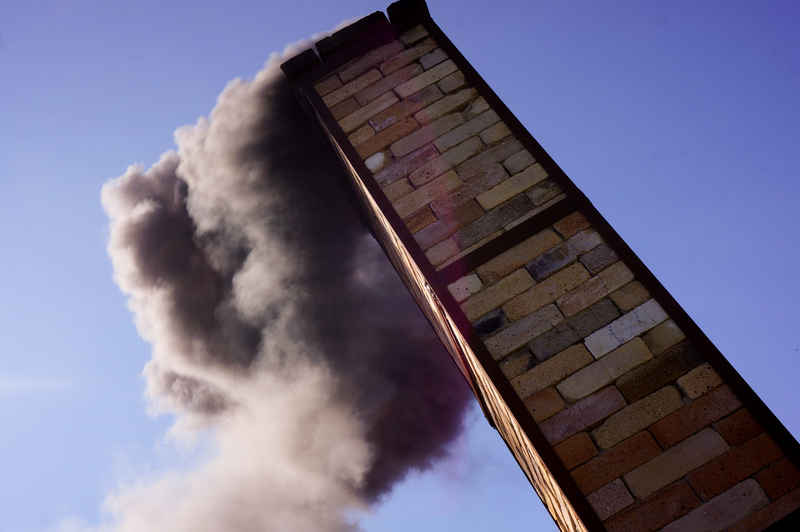 During reduction there is a lot of smoke produced. 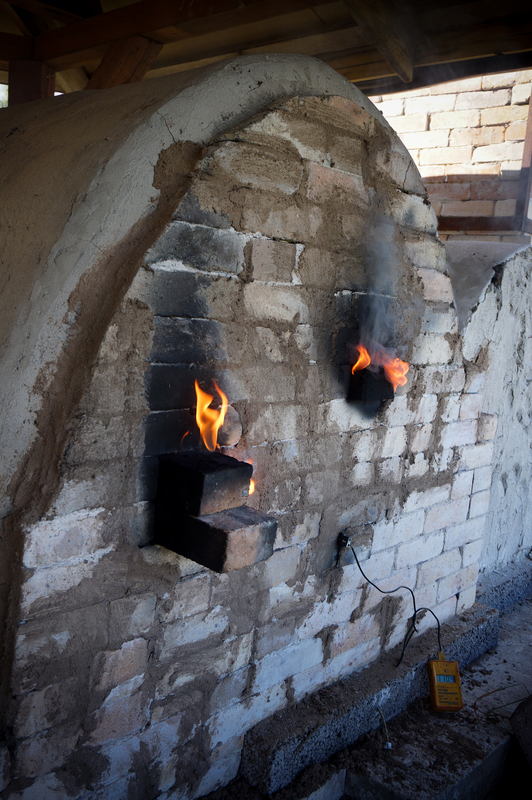 The last 5 hours we fire only the second chamber of the Anagama. 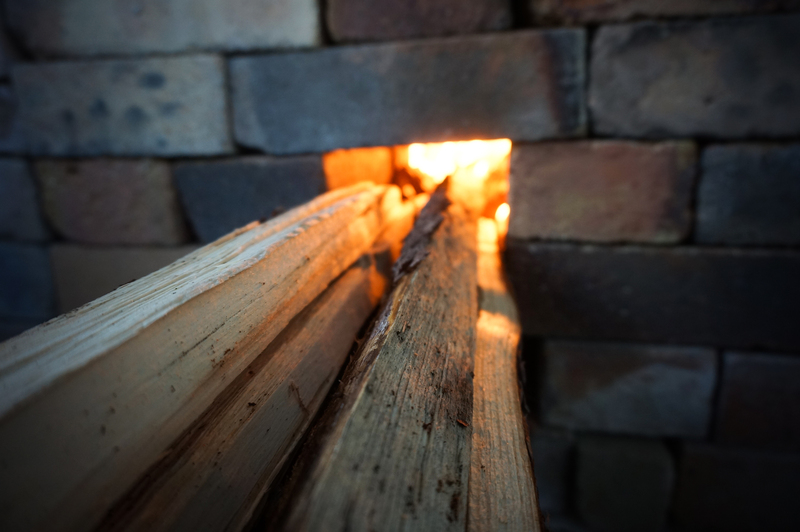 Every 2-5minutes wood is put in there from both sides.